SNOWMASS CONDOMINIUMS Destination Resorts Snowmass- the best collection of slope side lodging in Snowmass Village. TAMARACK TOWNHOUSES Check In Location- Stonebridge Inn - 300 Carriage Way, Snowmass Village, CO. The Tamarack Townhouses offer spacious condominium comfort only 70 yards to the slopes. Condominiums feature full kitchens/ a fireplace in the living room and master bedroom/ in-unit washer/ dryer/ private parking ski lockers/ and stunning outdoor pool and hot tubs. A distinctive experience provided by Destination Hotels and Resorts. LAURELWOOD Check In Location-The Laurelwood 640 Carriage Way Snowmass Village- CO. The Laurelwood is conveniently located slope side and within walking distance to the Snowmass Conference Center/ Village mall/ and Snowmass ski school. These spacious units are ideal for a couple or a small family looking for condominium amenities which include on-site management/ daily housekeeping/ laundry facilities/full-size kitchens/ fireplace/ and balcony or patio with grill. The Laurelwood- comfortable lodging with comfortable pricing. A distinctive experience provided by Destination Hotels and Resorts. INTERLUDE Check In Location- The Laurelwood 640 Carriage Way Snowmass Village- CO. The Interlude is located slope side beside the Fanny Hill quad chairlift above the mall. These privately owned condominiums in two buildings have superb ski in-ski out access/ and extraordinary views of the ski slope and mountains. Each unit has a full kitchen/ fireplace/ cable TV/ VCR/ balcony or patio/ separate living-sleeping-dining areas/ one bath per bedroom/ and large windows to enjoy Snowmass natural beauty. Use of three swimming pools/hot tubs/ daily housekeeping/ laundry/ and humidifiers/ free local phone calls and direct in room dialing. 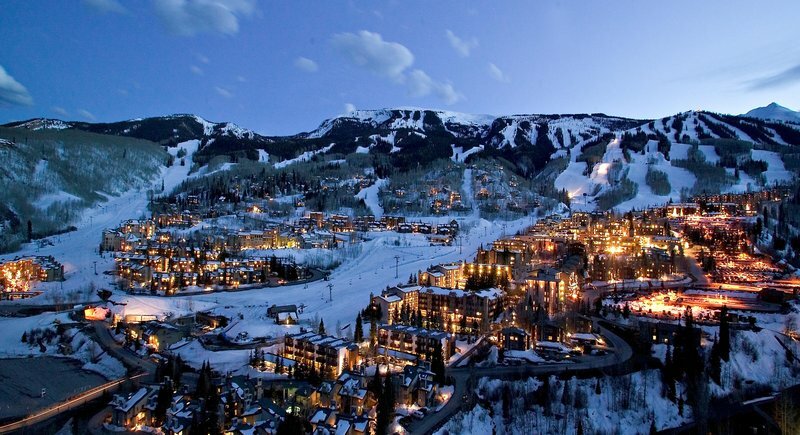 Ideal for families-groups and couples-Destination Resorts Snowmass offers the widest selection of ski-in ski-out and slope-side lodging in Snowmass Village-Colorado.